I get a last minute appointment in because of pain in my neck and shoulder, the massage therapist was able to fix me up good. This is a wonderful spa. Clean and there are showers and a sauna. Never disappointed with the care. There is a reason this place is still in the business for so long. Highly recommend. The best couples massage ever. It’s been a while since I visited Oasis Day Spa, but my visit today was AMAZING! I love the new location and Inna is still FANTASTIC! The products are perfect and the Ultimate Massage was just what I needed to relieve the tension in my body. The staff is still warm & friendly just as I remember. 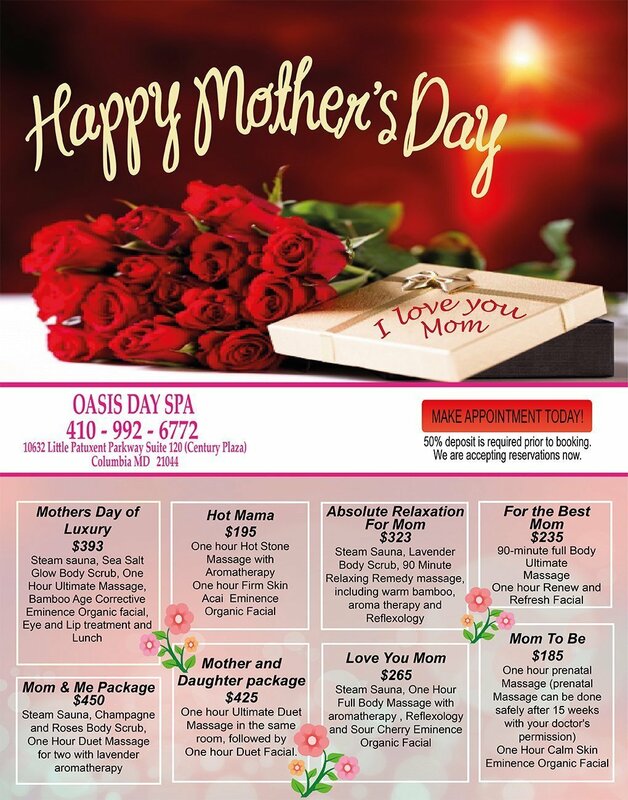 This makes 8 years in total that I have been a customer and I will continue to be a customer of Oasis Day Spa! Exceptional service and friendly staff. I love their products! I have known of the Eminence brand for some time now, but never personally used it until coming to Oasis. The cleanser and toners available at the spa worked magic on my skin.